WASHINGTON – To find out how the Pentagon is driving new manufacturing techniques, you need to look outside the building and to a network of public-private partnerships located around the country. Created under the Obama administration, the Manufacturing USA initiative – technically known as the National Network for Manufacturing Innovation – is a series of centers of excellence spread around the country, with each center focused on a different technological area of study. The Pentagon has a role in eight different institutes. 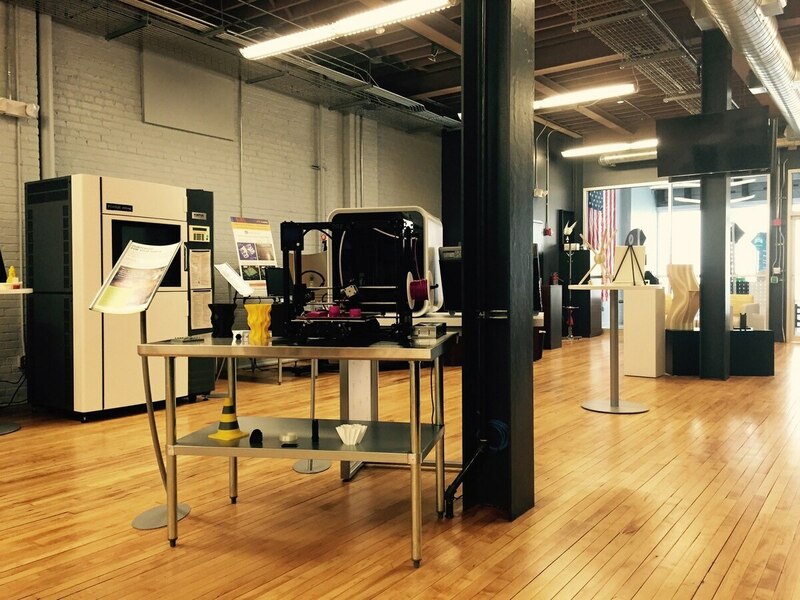 The groups focus on technology such as lightweight metals, biofabrication, digital manufacturing, flexible technology, advanced composites and additive manufacturing, commonly known as 3D printing. The network of institutes is proving to be a key way for DoD to tap into future manufacturing technologies, said Tracy Frost, the Pentagon’s director of DoD Manufacturing Institutes and the acting head of the DoD Manufacturing Technologies (ManTech) program. “Manufacturing enables technology to get into the hands of the warfighters. All the technology advancements in the world don’t really mean much to the warfighter unless we can make the product. We have to make it when the troops need it, we have to make it in the quantity they need, and we have to make it at an affordable cost,” said Frost. As a result, the institutes are based in areas where local industry would share a focus with the defense department. For example, the group focused on creating lightweight metals is based in Detroit, famously the center of American car manufacturing. Military vehicles and commercial cars would both benefit from new metals, after all; this way, the research can be pooled rather than working on different tracks. Defense firms such as Lockheed Martin and Northrop Grumman are involved in various projects, but there are trickle down benefits, said Frost. Smaller companies can join the institute, benefit from the shared knowledge, and then know they can become part of the supply chain, both directly to the Pentagon and as a supplier for the larger defense company. While industry has a vested interest, the Pentagon has a major say in driving what the institutes focus on. As a result, the programs are less about specific challenges – 3D print a better wheel, for example -- and more about larger industrial issues, such as figuring out new materials that can be used for 3D printing broadly. One example with 3D printing is very technical, but serves as a good example of the work the institutes are doing. Electron beam melting, an additive manufacturing technique, has been limited for military aircraft and space applications to only “nonstructural, nondurability-rated components primarily for static strength at operating temperatures,” according to a Manufacturing USA report. But both companies and the Pentagon want to expand the use of those parts, which can be cheaper to produce. Hence, one of the institutes began running an experiment on “highly loaded or elevated temperature exposed components” in order to create a large scale dataset on whether these parts could survive use. Northrop Grumman Aerospace Systems was the principal participant on the program, which also saw assistant from CalRAM, the Concurrent Technologies Corporation, Puris LLC and the Robert C. Byrd Institute. The Pentagon, Department of Energy and the National Science Foundation chipped in from the public sector. In all, the project had a $1.3M total budget -- $587K in public funding and $694K in private funding. And at the end of the day, “multiple” full-scale components were identified and manufactured, with significant testing afterwards. That data can now be used to help guide future 3D printed parts, and opens the door to those manufacturing techniques being used to produce equipment that it previously was restricted on, which Northrop is looking at for future airframes. In another case, the America Makes team looked at how to speed the production and design of metal castings, an expensive stumbling block for any production line. Through a collaboration of 13 private sector groups, as well as DoD, the Department of Energy and the National Science Foundation, enough testing and research was done to discover that sand printing technology can create castings more rapidly, and at a cheaper price, than the current metal casting standard. As a result, industry has increased a focus on the technology and the American Foundry Society’s industrial members have created a technical committee to encourage its use. “Defense OEMs and defense managers may benefit from this AM tooling approach to enable legacy platform operational availability and lower sustainment costs,” the institute notes. Both examples may seem like small projects, but put together they could help change how American industry – and hence the Pentagon – produces its vital goods.